Characteristics: Orange – The universal symbol for caution. Ideal for EMS, police and fire, hazmat functions, spills, etc. 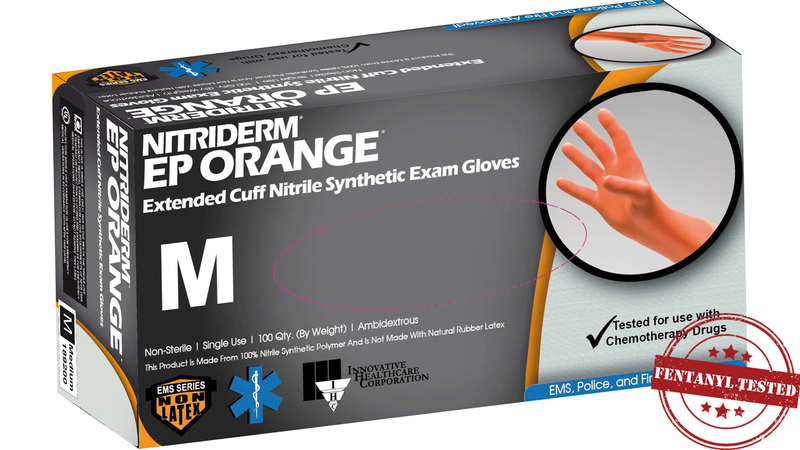 This powder-free nitrile synthetic glove has an extended cuff length to provide extra protection in high risk situations. Excellent donning properties in a soft, low modulus formula. Textured, slightly tacky surface for a better grip. This product was fentanyl tested.